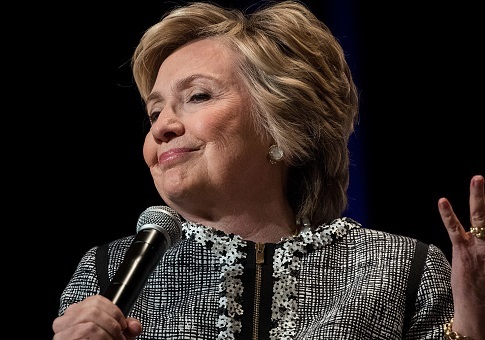 The charitable giving of failed Democratic presidential candidate Hillary Clinton and former president Bill Clinton fell by millions of dollars in 2016 because they did not pass money from their personal family foundation to the much larger Clinton Foundation for the first time in years, according to a review of the group's Form 990 by the Washington Free Beacon. That year, the Clintons reported giving $2,630,500 in donations from the Clinton Family Foundation to other groups—$1.5 million (or 57 percent) of which was passed on to the Clinton Foundation, the Free Beacon previously reported. The remaining $1,130,500 in charitable giving went to groups such as Yale University, Georgetown University, the Wildlife Conservation Society, and Hippy USA, a school readiness program. But in 2016 the Clintons did not give money to the Clinton Foundation from their personal family foundation, accounting for a $1.5 million dip in giving from 2015. The $395,000 the Clintons reported giving to groups in 2016 was also $735,000 less than they had given to places outside of the Clinton Foundation in 2015. The largest contributions the Clintons made last year included a $100,000 donation to the Thea Foundation, an Arkansas-based children arts group, and a $75,000 contribution to the University of Arkansas. The Clintons gave $5,000 to the Clinton Birthplace Foundation in Arkansas. The Clintons have passed more than $4 million from the personal foundation to the Clinton Foundation between 2007 and 2015, the Free Beacon previously reported. The Clintons could not be reached for comment on the charitable giving. This entry was posted in Issues and tagged Bill Clinton, Clinton Foundation, Hillary Clinton. Bookmark the permalink.